... a great deal more than beach, wide horizons and sea. At every time of year there’s lots to discover on the North Sea coast around St. Peter-Ording. A guided tour of the mudflats is highly recommended . 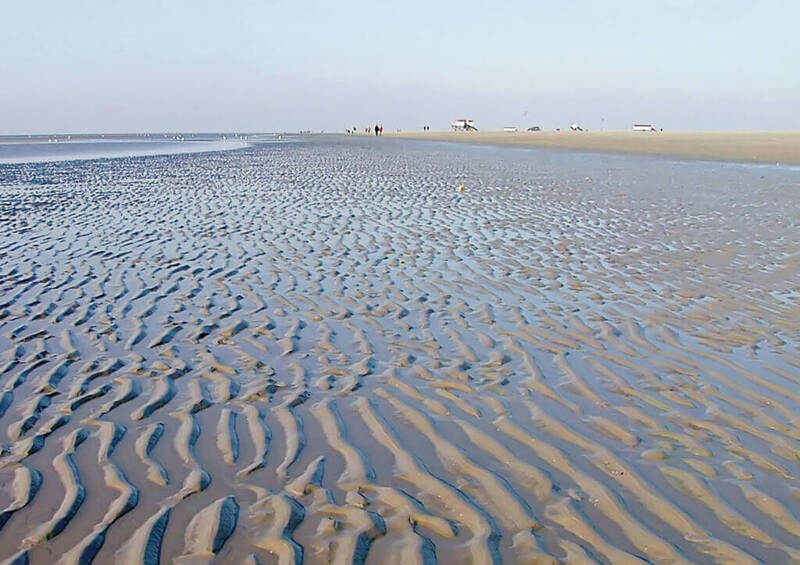 In 2009 the Waddensea became a UNESCO World Natural Heritage Site. We’ve put together the best tips and events for you. You’re sure to find something that interests you. You will find a detailed list of everything that is happening in St. Peter-Ording in the events programme of St. Peter-Ording here. 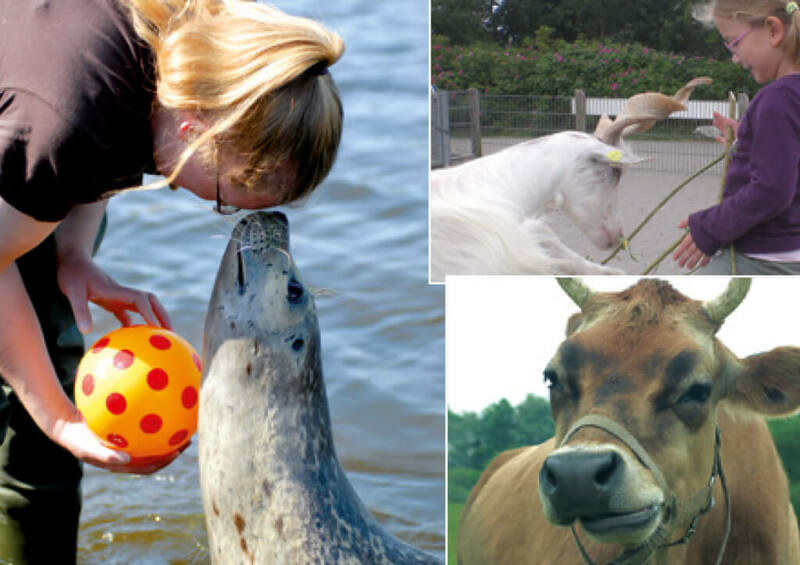 The ‘Westküstenpark’ is fascinating, especially for families with children: here you can admire the seals and explore the stork breeding facility. The ‘Multimar Wattforum’ in Tönning provides detailed information about the Waddensea and the largest inhabitants of our earth, wales. Aquariums and experimental tanks provide fascinating insights into the world of the sea. Here you will find out interesting information about amber, this popular stone made of resin, and where it can be found on the North Sea coast. The museum is open on only two days a week, but its highlight is a cabinet in which insects which were trapped in amber 45 to 50 million years ago are displayed. During the holidays there are polishing courses for children, in which they can turn a plain and nondescript raw piece of amber into their own jewel. After that you can treat yourself to a beneficial amber steam bath in our BEAUTY SPA. A great bathing experience for all generations, not just on chilly days: the pools are filled with salt water from the North Sea, there are waterslides for excitement, and in the outdoor pool the fresh North Sea air generates a feeling of well-being. 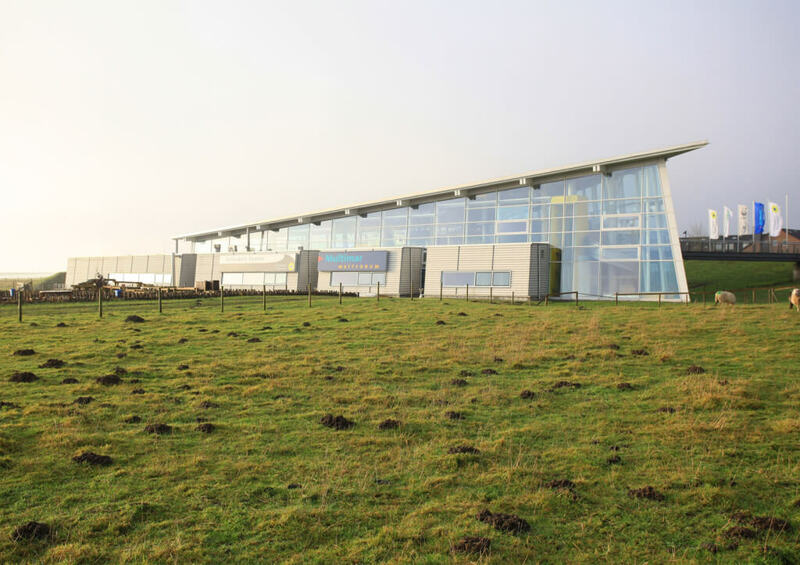 The 400 m wide watersports section provides safe and convenient access to the North Sea. X-H2O offers courses for children, beginners, advanced learners and even private coaching. Our team of coaches consists of experienced and trained VDWS instructors whose aim is to fill everyone with enthusiasm for the fascinating world of watersports. At the end of an energetic windy day on the water you can enjoy a sundowner in our cosy little café-bar with its spectacular view of the North Sea. The nearby town of Husum is also well worth a visit – it was given the literary name of “Grey town by the sea” in the poem “The town” by its most famous resident, the writer Theodor Storm. A popular excursion for cyclists: the Westerhever lighthouse 12 km from St. Peter-Ording is well known from TV advertising. In addition there are lots of events in and around St. Peter-Ording such as the Against-the-wind Marathon, beach volleyball and the World Kite Surfing Championships. You’ll find a list of all events in the St. Peter-Ording events calendar. The reception team at AALERNHÜS hotel & spa will also be happy to provide you with information! Golf alongside the UNESCO World Natural Heritage Waddensea. For all golfers we recommend the nine-hole course of Nordsee-Golfclub St. Peter-Ording. You can obtain your reduced green fee voucher from our reception. Greens created with loving attention to detail and high standards of quality lead through an attractive, slightly hilly landscape, making the Donner Kleve golf course one of the most attractive and popular in the region. The course has 18 holes, each with its own special features, on sandy, undulating dune terrain and can be played all the year round. Green fee vouchers at a discount of 20 % are available from the reception. When you drive past the Open County course you can’t miss a large sign near the clubhouse, saying “Golf for everyone”. This simple slogan is fundamental to the philosophy of this golf club and the course. Here in Tating everyone has the possibility of participating in this wonderful sport with the small white ball. In cooperation with the information and protection centre ‘Schutzstation Wattenmeer’ we carry out exclusive events in connection with our “Experiencing the Waddensee at first hand” package. In St. Peter-Ording the protection centre looks after the mudflats, salt meadows and dunes, protecting its flora and fauna and making an important contribution to the care of the UNESCO World Natural Heritage Site. Perhaps you are looking for a very distinctive piece of art? The firm of ‘Küsten Kunst’ creates individual handcrafted art from driftwood and other North Frisian materials in St. Peter-Ording. When we furnished our hotel we obtained many individual pieces from ‘Küsten Kunst’. Sun, sand, endless distances .. a kitebuggy glides silently through this idyl, driven onwards only by the wind. This is the dream of every kitebuggy enthusiast. Anyone who has ever experienced gliding just above the sand will be hooked forever. We offer everybody the opportunity to learn kitebuggying with a skilled instructor, or simply to test it for a couple of hours and have fun. Our X-H2O watersports centre is located on the beach of St. Peter-Ording on the west coast of Schleswig-Holstein. For us, Sonja Behrendt & Hein Jeve who manage X-H2O, the guiding principle is: “Everybody is welcome!” We offer courses and equipment rental for windsurfing, kite surfing, catamaran sailing and stand-up paddling.